Come and play for London’s most explosive American football Team. Division 1 London Hornets are recruiting players of all ability levels. Whether you’re interested in trying American Football for the first time, or you’re looking for a team who have set their sights on a Championship, the London Hornets want YOU. While the club has a limited supply of helmets and shoulder pads for new recruits, we recommend investing in your own set if you decide to continue the sport. 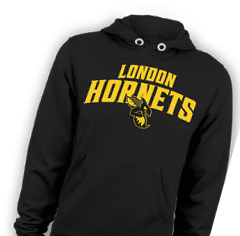 The Hornets can provide a official list of suppliers to purchase from.